A winter card with Kat Scrappiness and Hero Arts! Happy Thursday! Today I have a fun card that can be used for Christmas or any occasion. 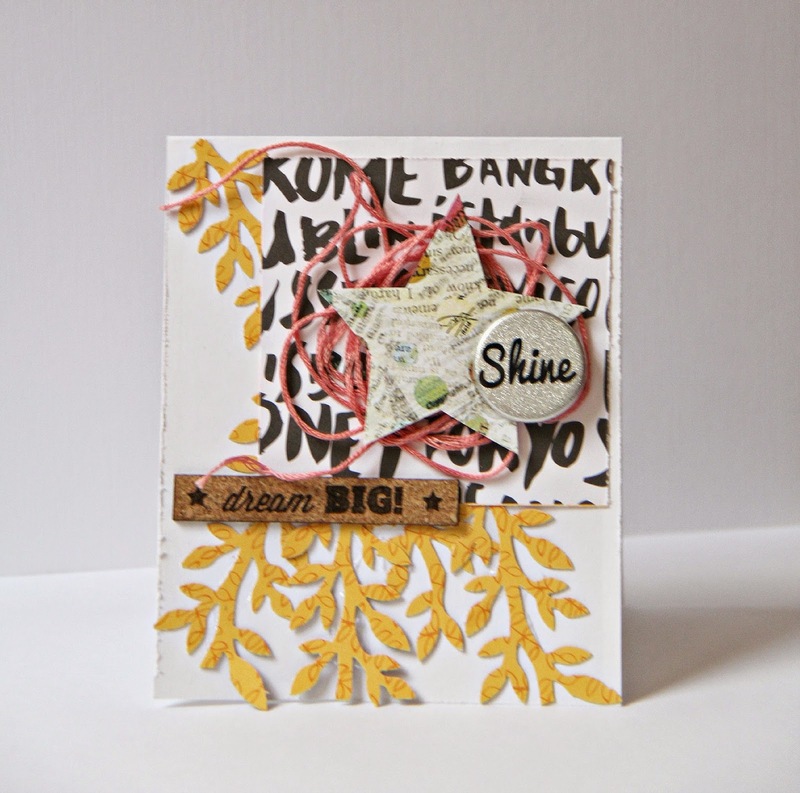 When I saw this Birch Background die at Kat Scrappiness.com I knew I wanted to create a card with this die taking center stage. To pair with this fantastic Die I chose the beautiful Hero Arts color layering Deer stamp set. I love that you can layer different ink colors quickly and not have to worry where your shading will go. I knew that I wanted the trees to have some dimension to them so I took a piece of adhesive backed foam and a piece of adhesive backed cardstock and I stuck the cardstock on top of the foam. 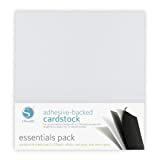 You could always use a product like stick-it to glue the cardstock to the foam, these were just in my supply stash. I find that it is easier to glue foam to a intricate die cut prior to cutting if at all possible. I cut the cardstock covered foam with the Birch Tree Background die in my big shot a couple of times to ensure everything cut though. This will smoosh your foam down a bit but it will puff back up. I carefully removed the waste from the die cut leaving just the background. I removed the adhesive backing on the foam and placed this on a piece of heavy weight cardstock that I have blended a bit of Broken China Distress ink on. I kept the ink darker at the top and lighter at the bottom. After that was glued together, I took W-01 and a W-03 Copic markers and added some shading to the trees. This added a bit more dimension and texture. I stamped my deer using three shades of hero arts ink that I had on hand (Soft Sand, Latte, and Brown Bark) and then stamped the final detail stamps in Versafine Onyx black ink. I cut the deer out with the coordinating die set then popped the deer up with the leftover scraps of foam from my trees. I took some of my favorite sparkling snow sequins from Kat’s shop and glued them down on the blue panel with some Ranger Multi Medium Matte finish adhesive so that they looked like snow falling. 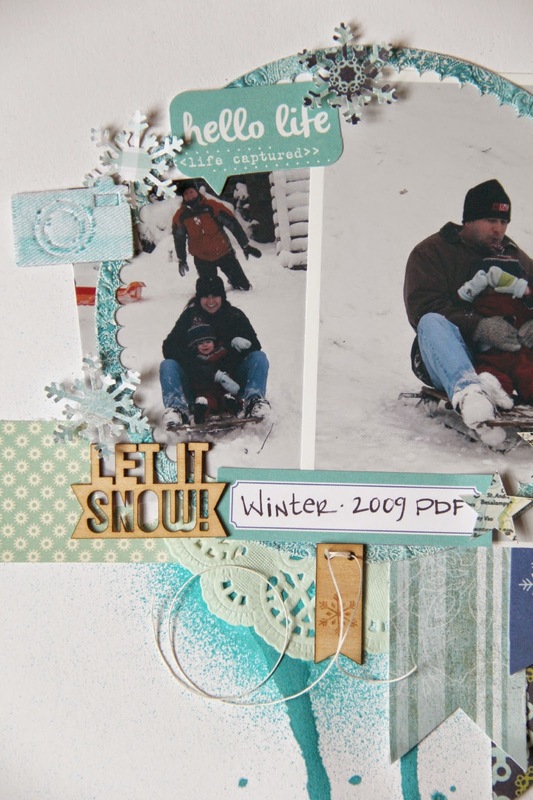 To finish off the card I added a sentiment banner from the same Hero Arts stamp set. I love the multiple layers on this card and it really came together quickly. I could see so many possibilities with this background die. 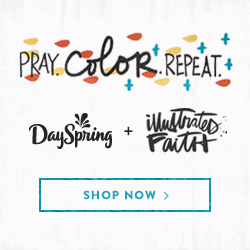 It’s great for all seasons! I hope you enjoyed my card today. I appreciate you stopping by. 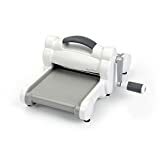 Please check out the links below for supplies I used today. It is finally Friday! We made it! I dont know about you but this week was a long one and I am ready for the weekend and some scrappy time! 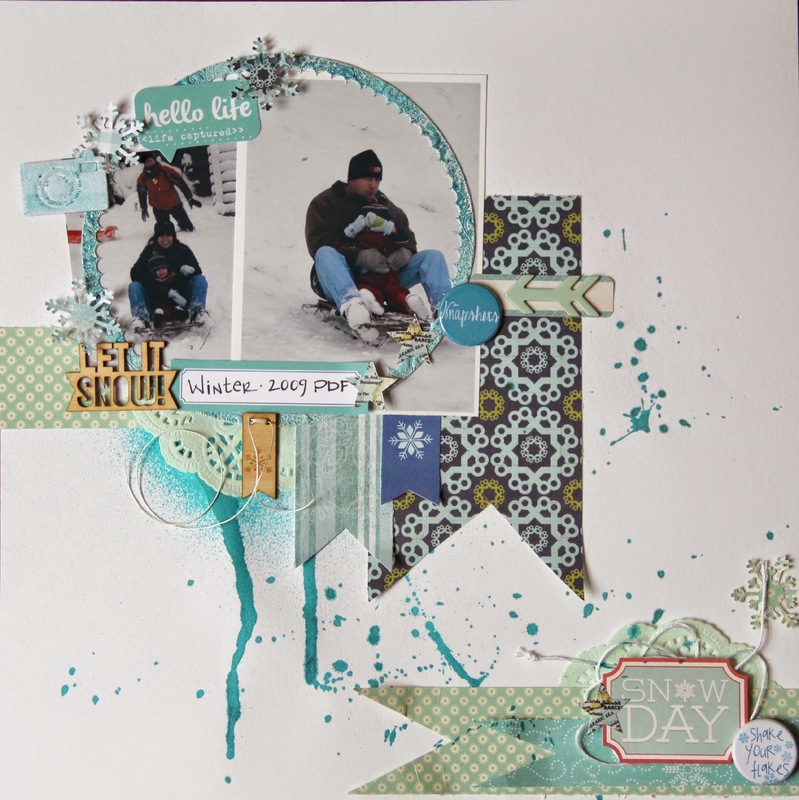 Today designer, Stephanie, has TWO projects to share with you using TCP flair. I hope you love her projects as much as I do, Take a look! 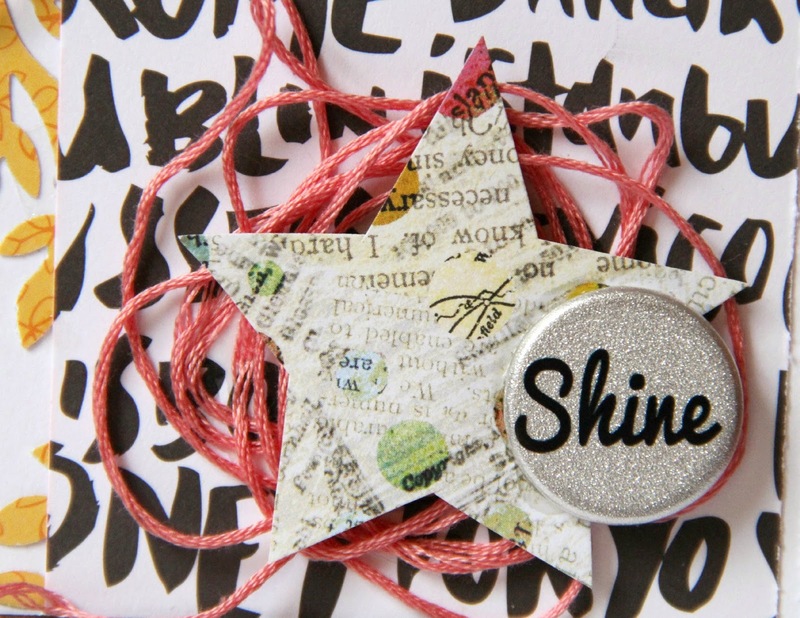 I have two projects to share today featuring flair from The Crafty Pickle . The first one is a card that I made for my daughter who is trying out for her school gymnastics team this week! She was nervous & pretty certain that she wouldn’t make the team, so I wanted to make her a card to give her a little extra encouragement!! I used my Martha Stewart punch to create the branches in the background. The “shine” flair button is from TCP & can be found here . I love the combination of colors & textures here! Hope she enjoys the cad too (even if she doesn’t make the team!) I will always be her biggest fan, regardless! I used scrap papers from my stash (I am on a roll using them up nowadays!) and the flair here is also from The Crafty Pickle. The “snapshots” flair is from their adorable Bright Everyday set. This set comes with 6 buttons that are prefect for any layout, card or PL spread! The “shake your flakes” flair button comes by itself & is the perfect embellishment for all your winter projects!! It’s too cute! I added in other embellishments to complete my page and give it more dimension from Elle’s Studio, Pink Paislee, October Afternoon & Studio Calico. Thanks for visiting on this Friday! LOVE them both Stephanie, Thanks for sharing your talent with us! Don’t forget we have a giveaway going on that ends this Monday (You can read more about that HERE) and we have an instagram giveaway going on too! Follow @TheCraftyPickle for more info! That giveaway ends this Sunday.